Trust was easy...when there was nothing going on. When I began this trust journey in earnest, the mid-winter snowy doldrum days went by at a leisurely pace. At any moment, I could take inventory and come up with everything being just as I liked it -all grown children accounted for and in their proper spots in life, good jobs all around, great health and a warm, cozy home for the myriad of snowbound, cabin fever kinds of days. It's quite simple to trust when everything is going my way. But now the changes have started to come, and I realize my heart is anxious today because there are - and will continue to be - decisions and deadlines and calendar dates I won't have any control over, and the planning towards them puts my stomach in a knot because I must, I MUST, see that these things work out perfectly or someone's life is going to be ruined. So here's my chance. I want to do things differently this trip on the worry-go-round. I want to put my trust in God into action and watch Him work, as opposed to fretting over all these circumstances and manipulating people and things to get details crossed off my list. I want to give over to Him all the things that are running through my mind at a constant exhausting pace, and watch Him produce the results. The giving over is easy; it's the not-taking-back that's hard. When the deadline looming on the calendar sends me into a panic and decisions have to be made with no one making them and when I feel that wrong paths may be taken unless I step in and make it all right again, I am telling myself right now that I will need to spend more-than-usual time in prayer so that I can gain His perspective, experience His peace and be comforted by His presence. This is a growth opportunity for me, if I'll only take it. 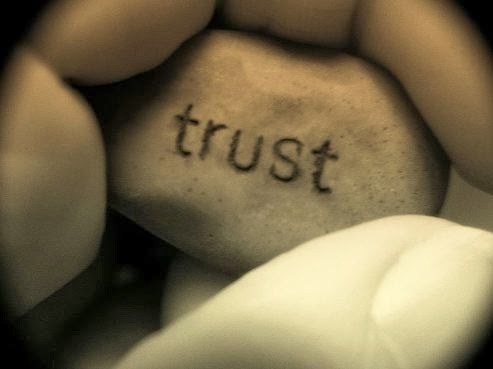 I want to get it right so that this trust thing becomes easier next time around. Thanks Amy- I appreciate what you do! Love these words: "The giving over is easy; it's the not-taking-back that's hard." So true! I linked up w/ Amy@TheMessyMiddle & found your post. So glad I stopped by this morning. Blessings! Thanks, Renee! I'm so glad you stopped by too. Today it's my goal to give over and not take back! Blessings to you, too.